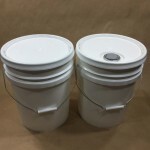 Our 5 gallon grey UN liquid pail is rated for hazardous liquids in the Packing Group II (Y) category. It has a UN rating of UN1H2/Y1.5/30. 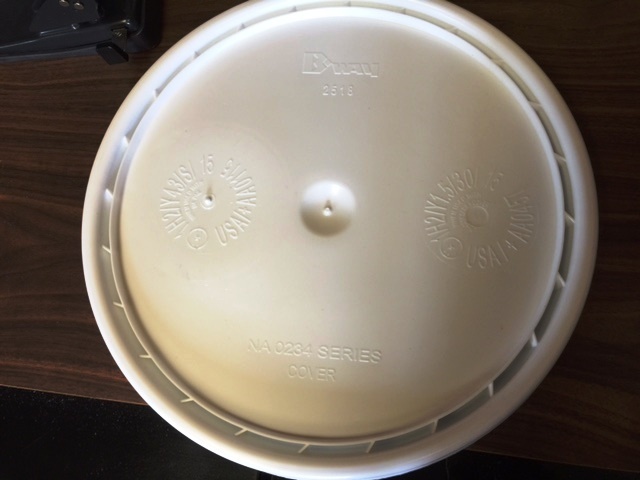 Lids are sold separately, and the only lids we stock are white. 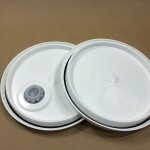 We carry both spouted and solid white lids, and both lids have gaskets. This UN liquid pail is also available in white. 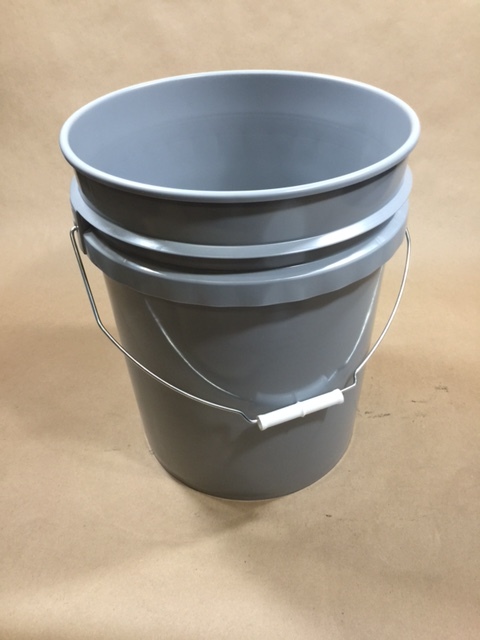 This is an FDA compliant pail and it is made from 90 MIL high density polyethylene. 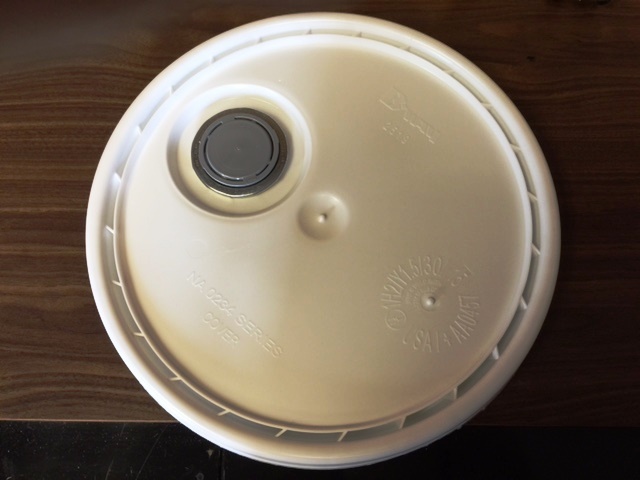 This pail would also be suitable for non-hazardous liquids, as long as the liquids are compatible with high density polyethylene. As always, compatibility of the product with the container is the responsibility of the shipper. Please call for a sample for testing with your product. 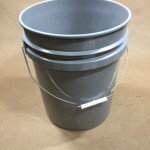 For a complete list of the pails we stock, please see our plastic pails page.